Do you want to become a bartender in Maryland? This page presents some basic information you need to know to in order to start a profitable bartending career. For decades Maryland Bartending Academy has been the premier bartending school in the Baltimore-Washington metro area. If you are interested in getting the basics of bartending, to learn how to manage a crowd to earn the best bartender wage, expert mixology techniques, or learn flashy trick bartending, Maryland Bartending Academy can help you gain necessary experience and crucial skills to either start a new career or get a lucrative, and fun, second job. It is easier than you probably think to become a bartender in Maryland and DC. The first step is to give us a call here at 410-787-0020, and sign up for a free bartending class. This way you can get a full introduction to the world of bartending, no strings attached. How much do bartenders make? It largely depends on tips; so it depends on how efficient and friendly you are to your customers. What are the bartending laws in Maryland? Besides age, there are several safety and awareness classes that you must take. They are included in your bartender training. Do I need a bartending license in Maryland? Not really, but employers want people certified by a reputable school. Do I need a bartending license in DC? Not technically, but you have better employment opportunities when you have the experience of a bartending college. How long is bartending school? 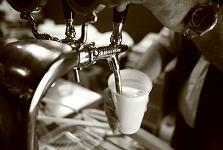 It typically takes our students two weeks to earn their bartending certificate. Will you help me get bartending employment? Absolutely! Part of your enrollment in bartender class in Maryland includes our successful job placement services. Are You Ready To Become A Bartender in Maryland?